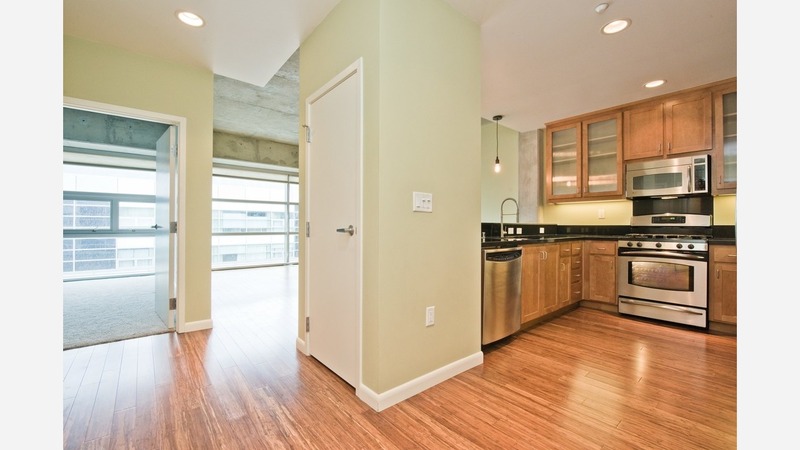 What Does $3,000 Rent You In Oakland, Today? According to rental site Zumper, median rents in Oakland this month are $1,695 for a studio, $2,125 for a 1-bedroom, $2,495 for a 2-bedroom and $3,300 for a 3-bedroom apartment. But if you have a housing budget of $3,000 per month, what do your options actually look like? We've rounded up the latest offerings at that price point to get a sense of the market. Listed at $3,000/month, this 780-square-foot, 1-bedroom, 1-bathroom condo is located at 428 Alice St. In this property, you can expect high ceilings, hardwood floors, in-unit laundry, a walk-in closet, a ceiling fan and a full kitchen with stainless steel appliances. Amenities offered in the building include garage parking, outdoor space, a fitness center, an elevator and storage space, but cats and dogs aren't welcome. Also near the waterfront, there's this 1-bedroom, 1-bathroom, apartment at 222 Broadway that's listed for $2,995/month and has 735 square feet of space. Tenants can expect hardwood floors, a walk-in closet, a balcony, in-unit laundry, floor-to-ceiling windows, stainless steel appliances and granite countertops. Building amenities include garage parking, a swimming pool, a business center and on-site management. Cats and dogs aren't welcome. This 660-square-foot, 1-bedroom, 1-bathroom unit near the Piedmont Avenue shopping district is also going for $2,995/month. In the apartment, you'll get stainless steel appliances, hardwood floors, built-in bookshelves, granite countertops and closet space. The building features a swimming pool and on-site laundry, and both cats and dogs are permitted. Next, check out this 850-square-foot, 1-bedroom, 1.5-bathroom apartment that's located at 5608 MLK Way and is listed for $2,995/month. The unit offers high ceilings, air conditioning, a dishwasher, stainless steel appliances, in-unit laundry, a walk-in closet and garden access. Good news for pet guardians: cats and dogs are welcome. Finally, this 1-bedroom, 1-bathroom apartment is located at 643 Fairview St. and is listed for $2,900/month. In the unit, tenants can anticipate hardwood floors, a balcony, a ceiling fan, plenty of natural light and stainless steel appliances. The building features on-site laundry and outdoor space. Fortunately for canine caretakers, dogs are welcome.